Why would I need self storage in Lexington, SC? There are a variety of reasons why you might need self-storage in Lexington, SC. How much is a storage unit in Lexington, SC? The cheapest storage unit in Lexington, SC is $55.00 per month. What size storage units do you have available in Lexington, SC? In Lexington, SC we have sizes that range from 10'x5' to 20'x25' to suit your storage needs. How much is it for a 10'x5' storage unit in Lexington, SC? The cheapest 10'x5' storage unit in Lexington, SC is $55.00 per month. Lexington is a rapidly growing city in Lexington County, in the South Carolina's Central Midlands area. It's conveniently located 15 miles west of Columbia and just north of Interste-20. The city's name pays tribute to the Lexington and Concord Battles of 1775, which inspired the American Revolution. Lexington got its start when the county purchased 2 acres of land in the area for its new courthouse and jail. The courthouse was so pivotal to Lexington's growth that the town was known as Lexington Courthouse until 1900. Federal troops descended on Lexington in 1865 under the orders of General Sherman. Many homes and buildings were burned down during this time, and again in 1894 and 1916 when brush fires tore through the area, but the people of Lexington refused to abandon their community. The locals rebuilt in brick, determined to keep their properties and businesses safe. The prosperous times that followed the Second World War helped Lexington cement itself as an important economic and political center. Lexington was a fairly small city up until 1990, with just over 3,000 people calling the area home. However, a major population boom has since fueled impressive growth, tripling the population between 1990 and 2000 and then boosting it to 20,000 by 2015. Many factors have played a role in the city's growth, including its strong economy, low cost of living and excellent amenities. 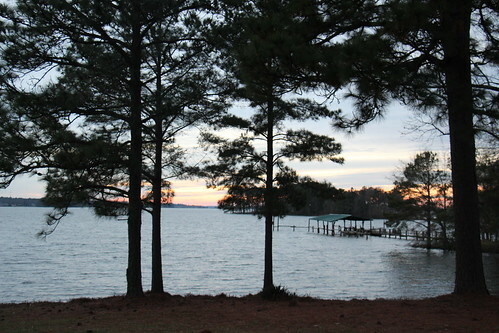 Lexington's location on the shores of Lake Murray provides scenic views from many areas of the city, and makes it an ideal home if you love the great outdoors. The lake is a popular spot for fishing, boating, water-skiing, bird-watching and picnicking. Lexington's unemployment rate is lower than both the state and national averages, and recent job growth shows that the local economy is becoming even stronger. Major companies, including Southeastern Freight Lines, Medical Services of America and Whaley Foodservice Repairs, are headquartered in Lexington. Some of the city's largest employers include Lexington County, Lexington County School District One, Walmart and the Town of Lexington. Lexington County School District One operates the public schools of Lexington, including a technology center in addition to its elementary, middle and high schools. It's one of the fastest-growing school districts in South Carolina, with a number of recently-constructed schools opened to accommodate the growing population. Utilities: South Carolina Electric & Gas and Lexington Town Utilities are the primary utilities providers in the area. Garbage and Recycling: Lexington County offers curbside collection for all homes within county limits. You can expect to receive roll-out carts for trash and recycling, which should be used for collection. Transportation: Although there are no public transportation stops within Lexington, taxi service can easily provide access to a neighboring city. There, you can choose to utilize public transit options that offer routes throughout the county. Lexington offers a range of homes in distinctive neighborhoods to suit all tastes and budgets. There are detached homes of all sizes, perfect for growing families, and compact apartments for renters and those looking for an easy, low-maintenance property. The communities of Southlake Village and Deepwood Estates offer homes and amenities for retirees. Our lowest priced units in Lexington, SC average $55.00 per month. 23 people have reserved units in Lexington, SC in the past 30 days. There is 1 location within Lexington, SC's city limits. There is 1 location in Lexington, SC that offers AC and Heating features.